'e' is a unique number with numerical value e = 2.7182818284590.... having infinite number of digits. It is popularly called as Euler's number. Mnemonic for 'e' upto 6 digits is : By omnibus I traveled to Brooklyn. In mathematics, next to the omnipresent π, 'e' is an important constant extensively appearing in limits and derivatives. Like 'π' it is an irrational number i.e., it cannot be expressed as a ratio of two integers. Common logarithms have a base of 10. A second type, called natural or Naperian logarithms, have the constant 'e' as its base. In that context 'e' is called Naperian's constant. 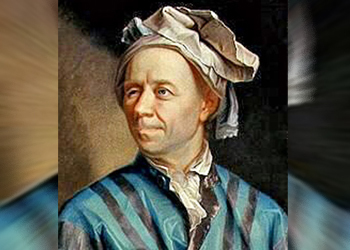 But 'e' was named after Leonhard Euler, a Swiss mathematician, physician and astronomer. His contribution to several branches of mathematics such as calculus and graph theory was immense. 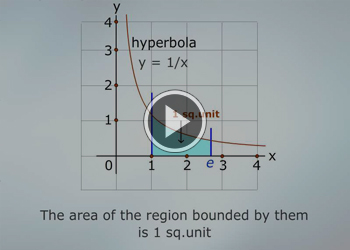 Consider the region bounded by a hyperbola (xy = 1), the x-axis, and the vertical lines x = 1 and x = e as shown in the animation. The area between the three equations is one square unit. 'e' is a unique number that exhibits the above property. 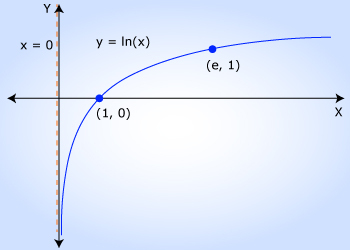 To find value of 'e' they have drawn the curve of (1/x) and measured the area under curve from x = 1 and when the area reaches 1 the corresponding value of x = e which is physically measured. 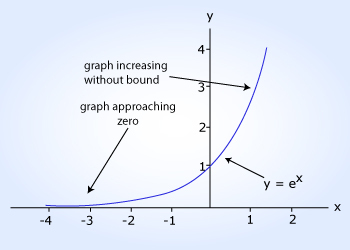 iii) 'e' can also be defined as the unique positive number 'a', such that the function y = axhas unit slope at x = 0.
iv) The function f(x) = ex is called the exponential function. It's inverse is the natural logarithm i.e., logarithm to the base 'e'. See their graphs in the adjacent images. 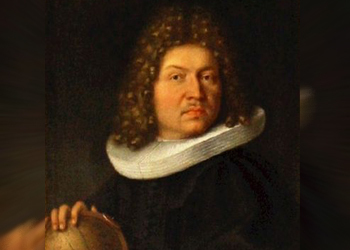 Jacob Bernoulli was one of the many prominent mathematicians in the Bernoulli family. He was an early proponent of Leibnizian calculus and had sided with Leibniz during the Leibniz–Newton calculus controversy. 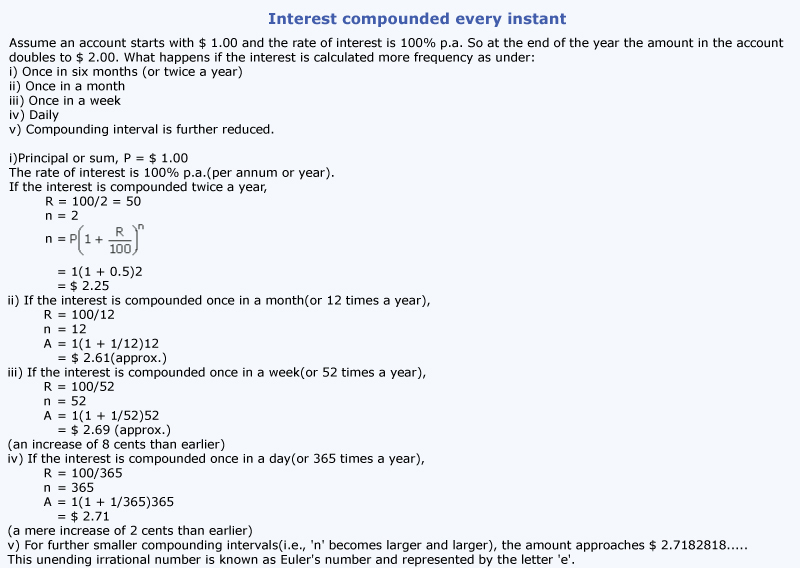 Jacob Bernoulli found applications of 'e' in compound interest problems, probability and derangements as explained below. b) Suppose in Las Vegas, a slot machine pays out with a probability of one in 'n' and the gambler plays it 'n' times. If 'n' is very large (> 1 million), then the probability that the gambler will lose each bet is approx 1/e. As 'n'(no. of guests) approaches infinity, the probability approaches 1/e. And the number of ways it can be done is n!/e. Concept of an asymptote The plot above shows 1/x, which has a vertical asymptote at x = 0 and a horizontal asymptote at y = 0. 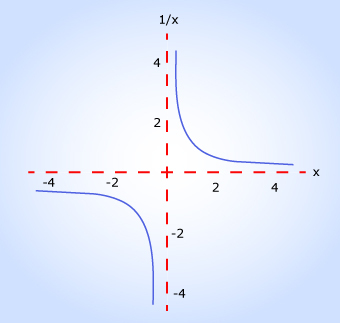 An asymptode is a line or curve that approaches a given curve arbitrarily closely but never touches. 'e' occurs (sometimes along with π) in problems involving asymptotics. Differential and integral calculus performed on exponential functions and logarithms involve 'e'. 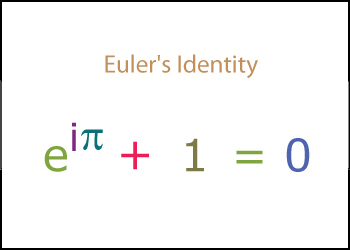 The above equation is called Euler's Identity. It is often cited as an example of deep mathematical beauty. Three of the basic arithmetic operations (addition, multiplication, and exponentiation) occur exactly once each linking five fundamental mathematical constants 0, 1, i, π and e.
'e' perhaps was 'invented' when someone tried to work out what would happen to the amount if the compound interest is added to the principal(or sum) every instant of time. Interestingly it approaches 'e' as explained in the adjacent example. A company raises money from the public by filing for an IPO(Initial Public Offer). 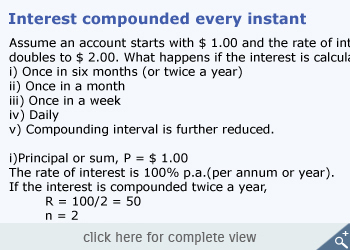 The amount it intends to raise is generally a round figure (say $500 million etc). But in 2004, Google intended to raise $ 2,718,281,828. Guess what? Yes, it is e-billion dollars! In computer programming, the version numbers are normally named 1.0, 2.0, 3.0 etc. But one Donald Knuth's versions were 2, 2.7, 2.71, 2.718.... (approaching 'e' ! ).